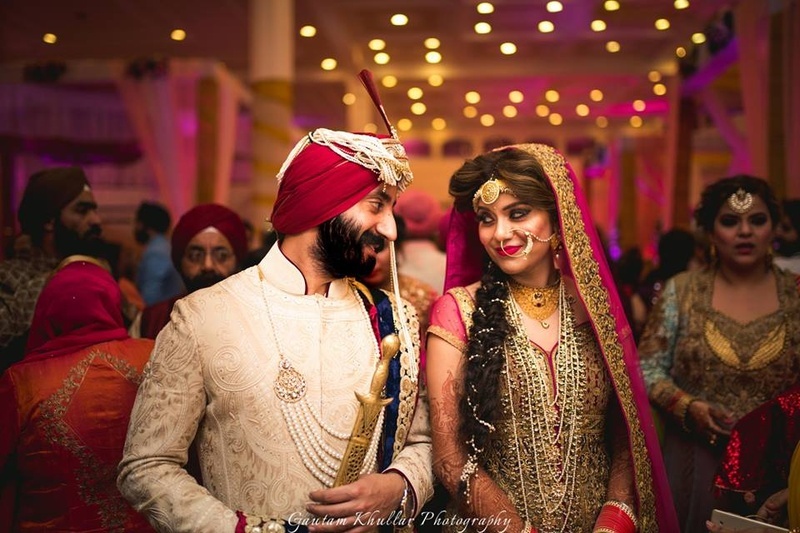 Amalgamation of traditional Punjabi notes and hints of western elegance. 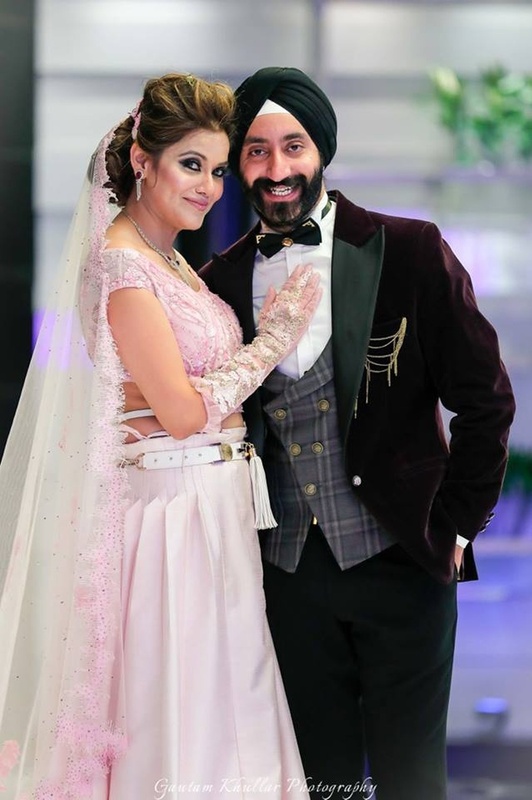 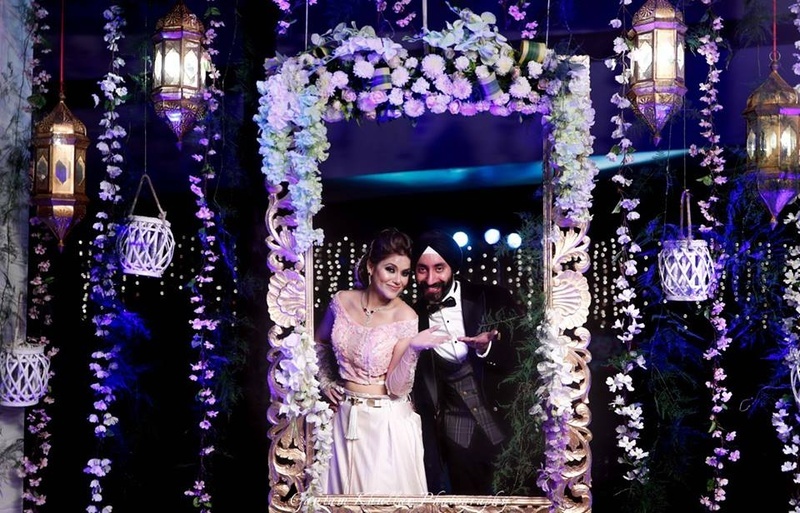 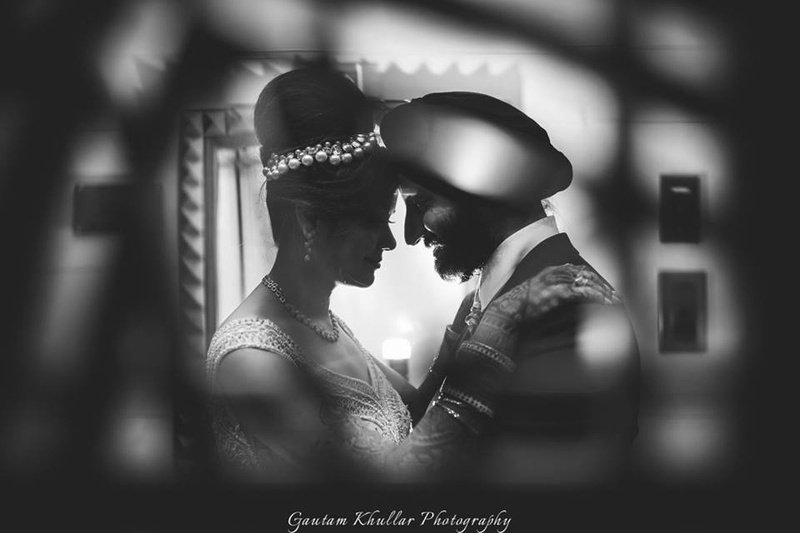 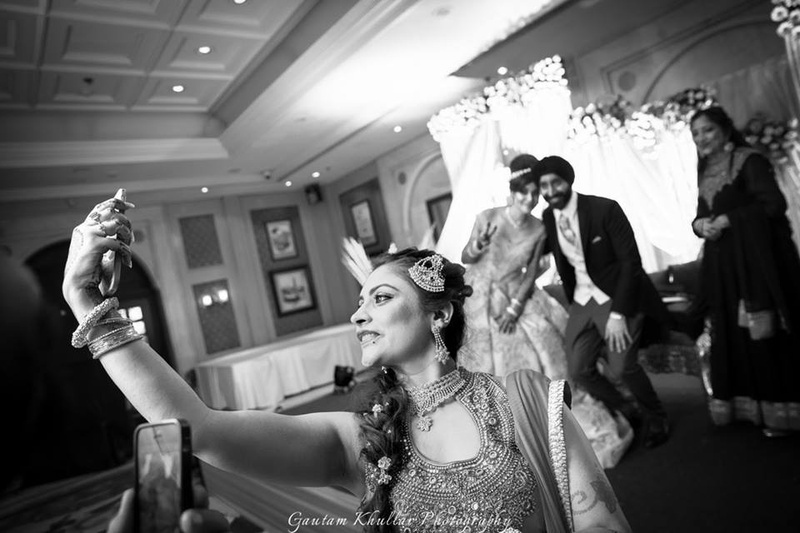 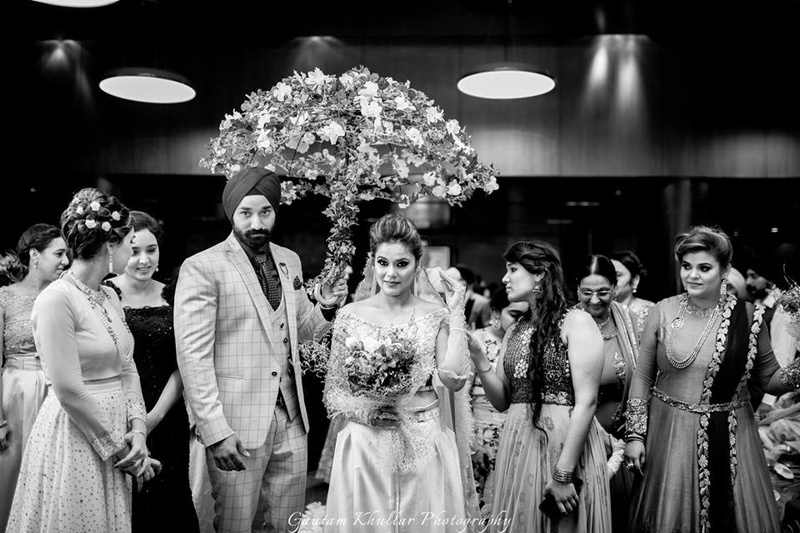 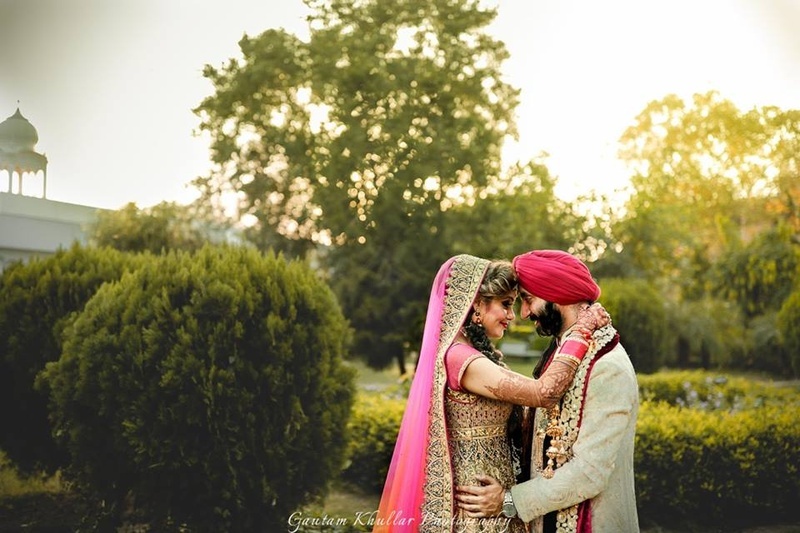 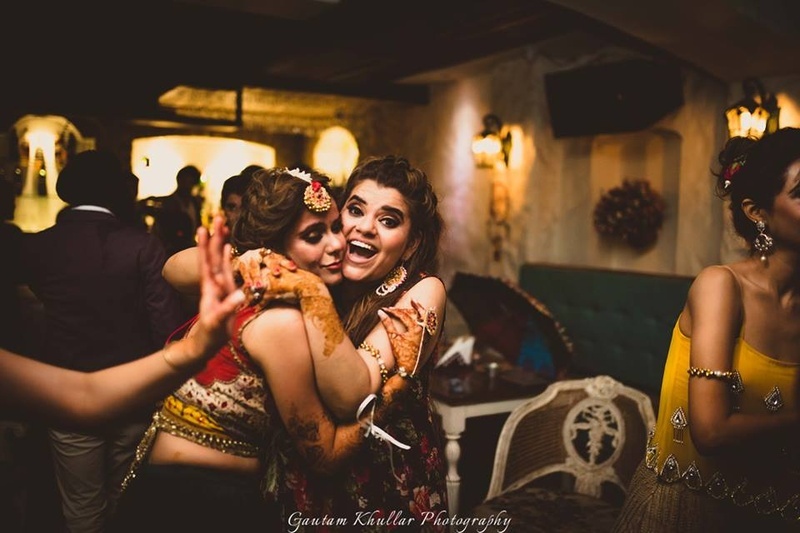 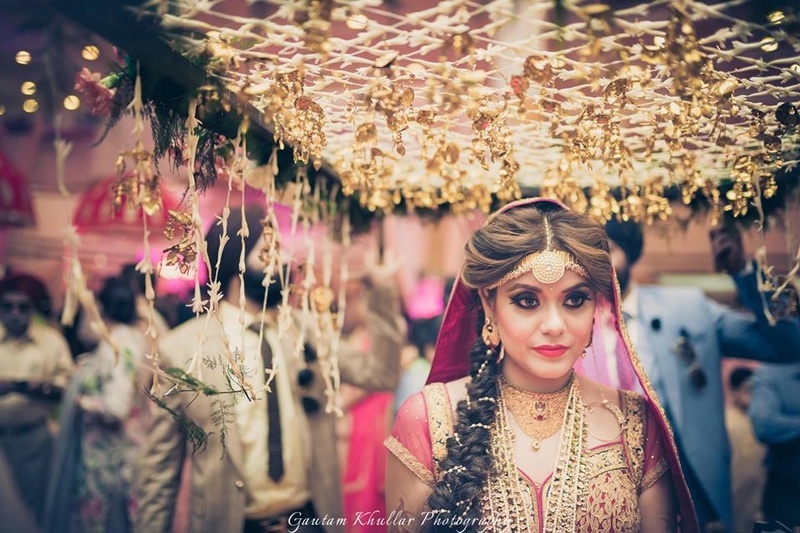 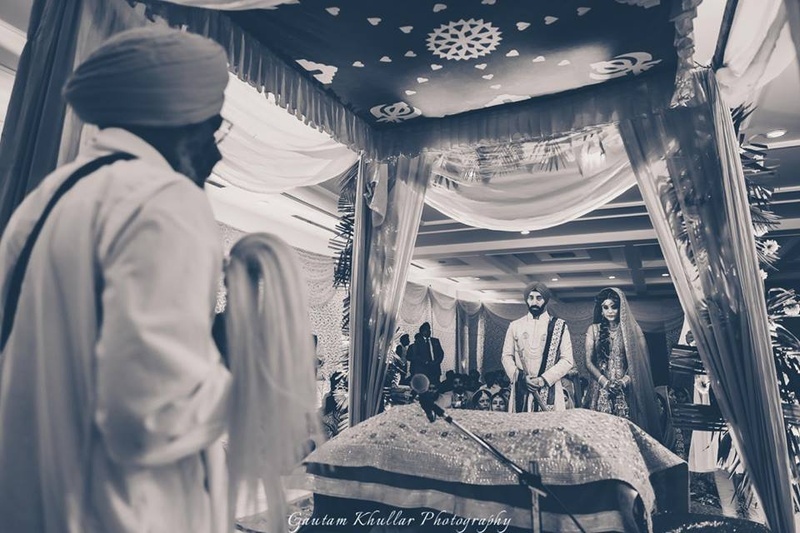 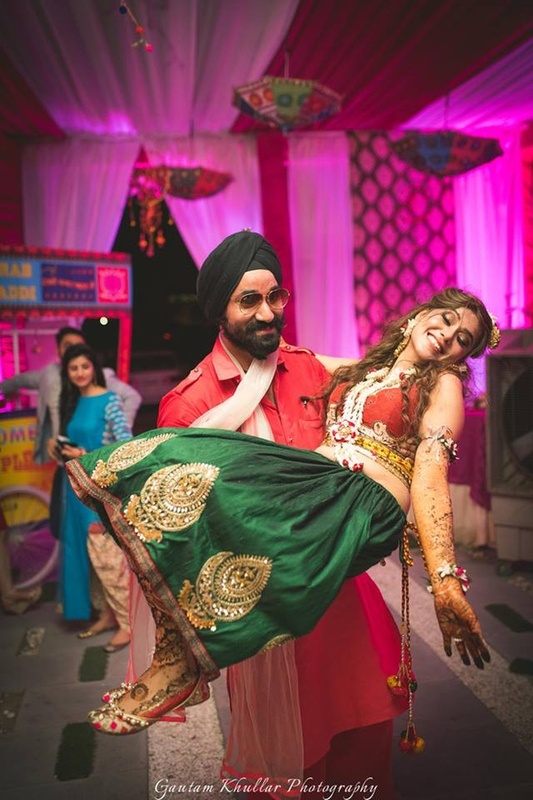 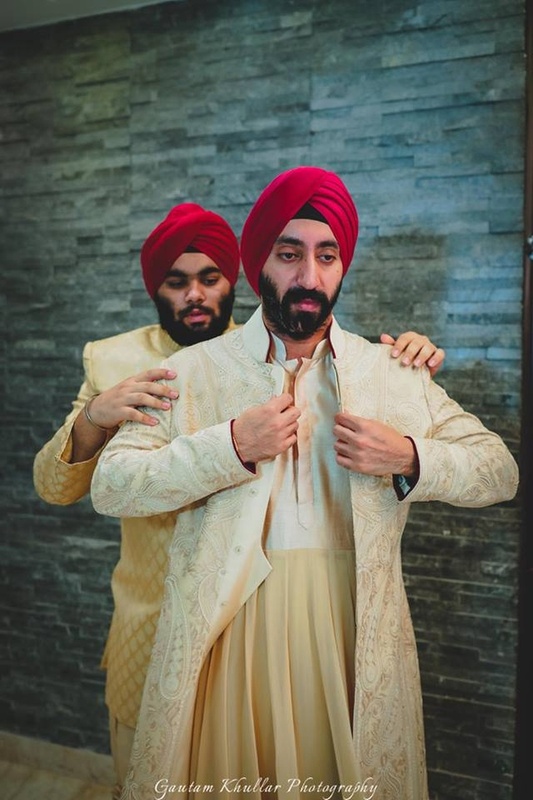 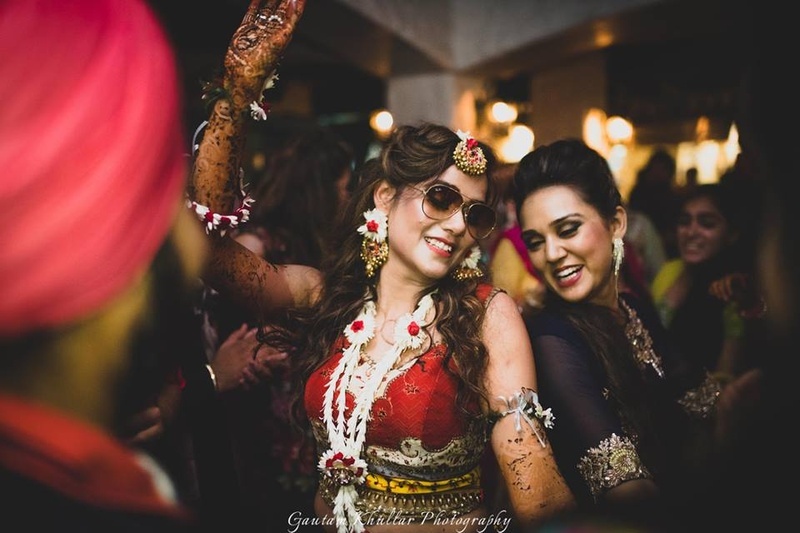 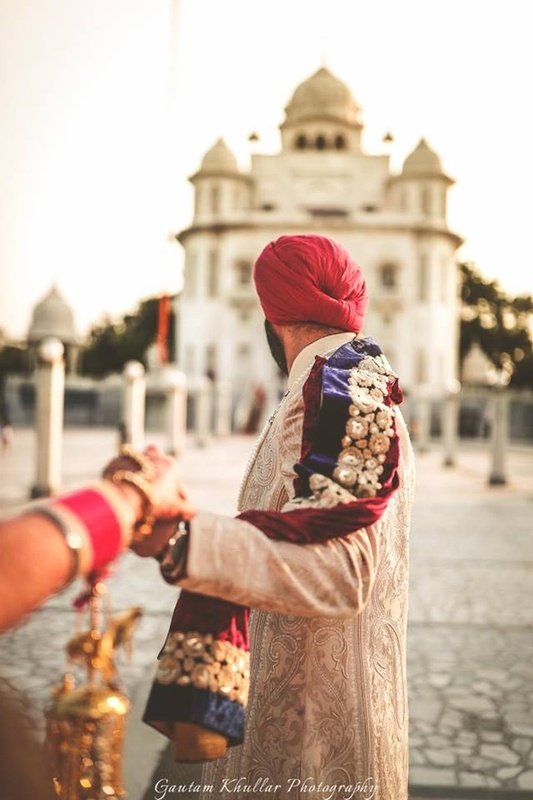 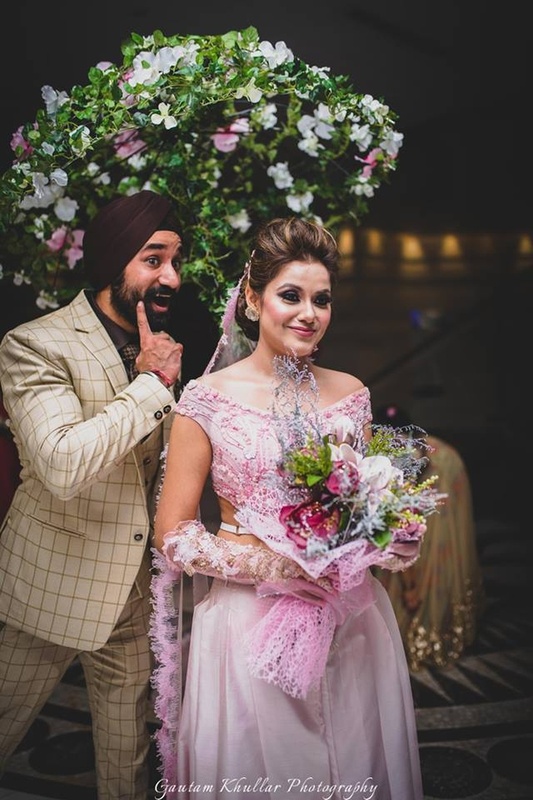 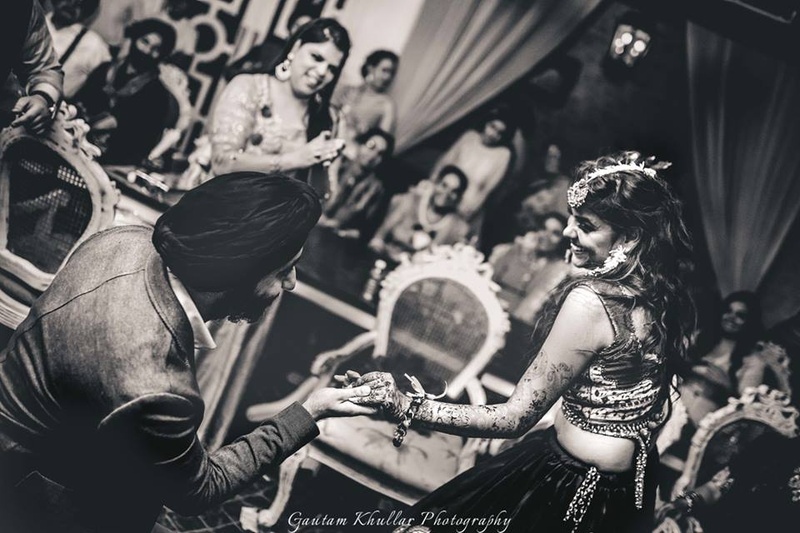 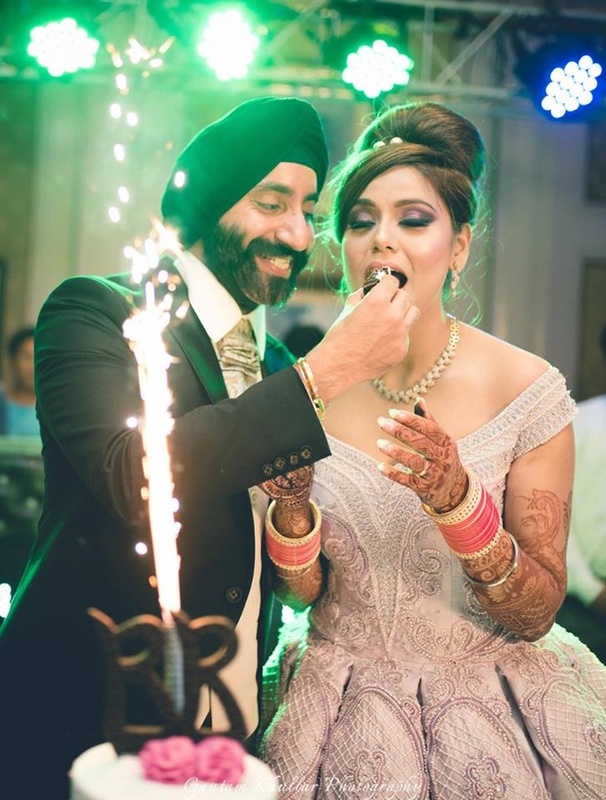 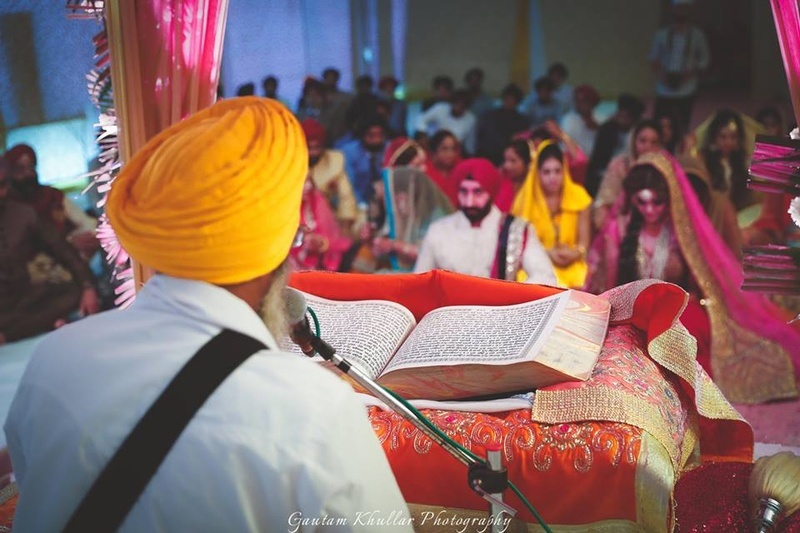 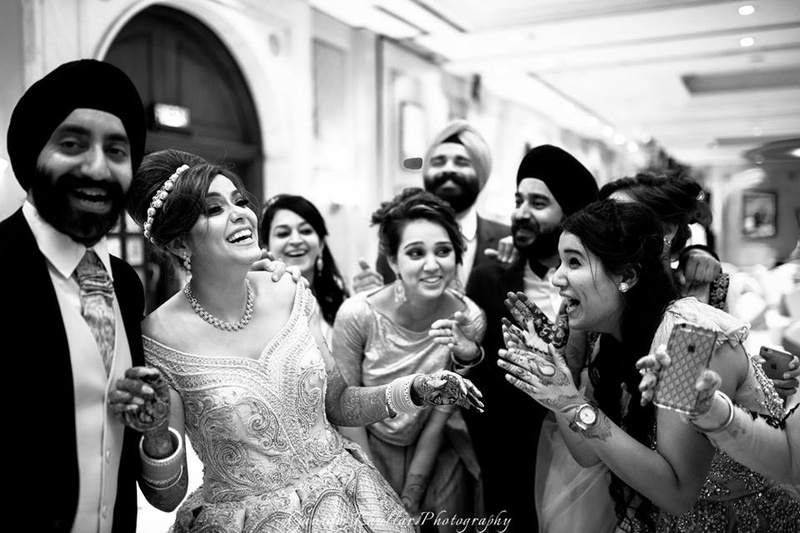 Rashveen and Ravi's wedding at Rajab Ganj Gurudwara, Delhi was a beautiful amalgamation of traditional Punjabi notes and hints of western elegance. 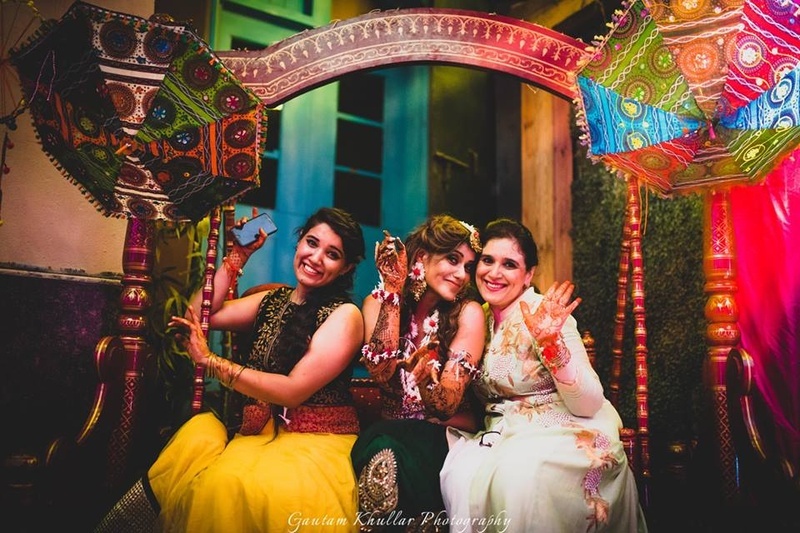 We loved the contemporary mehndi that the bride decorated her hands with. 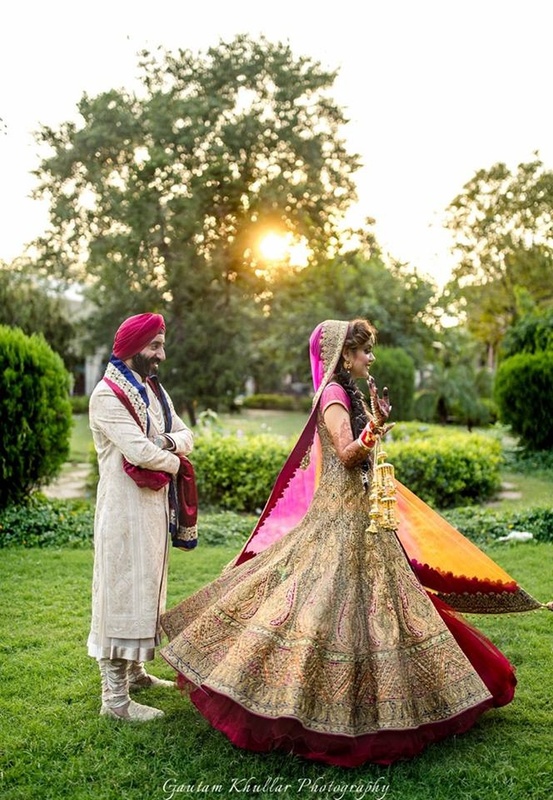 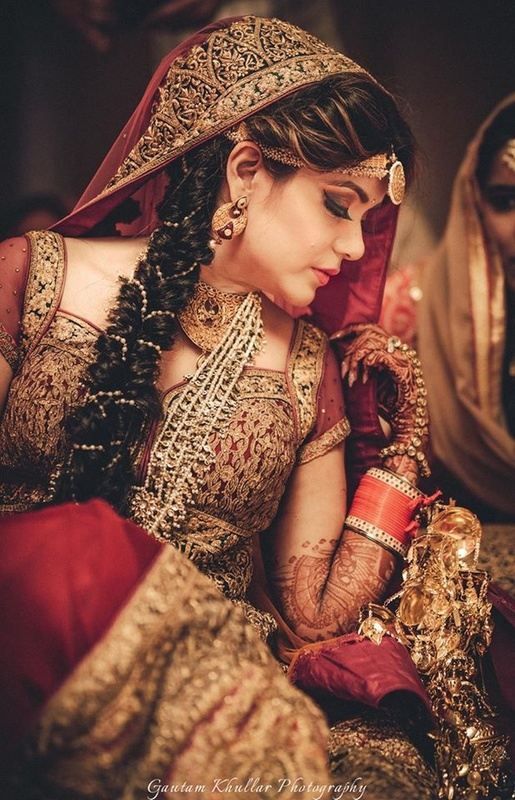 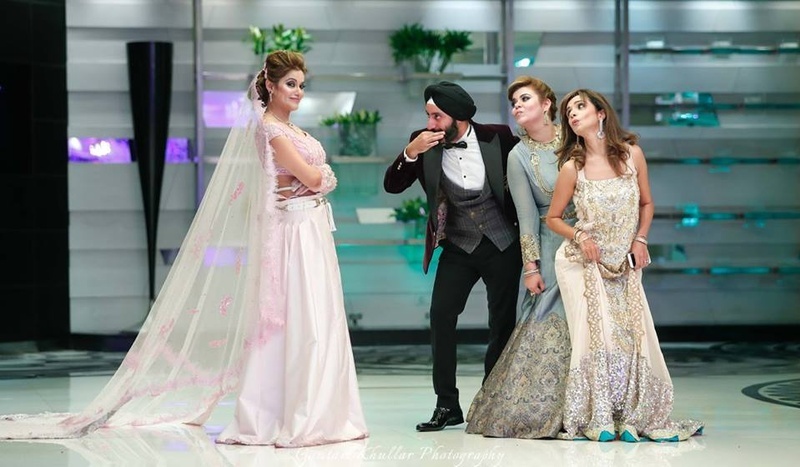 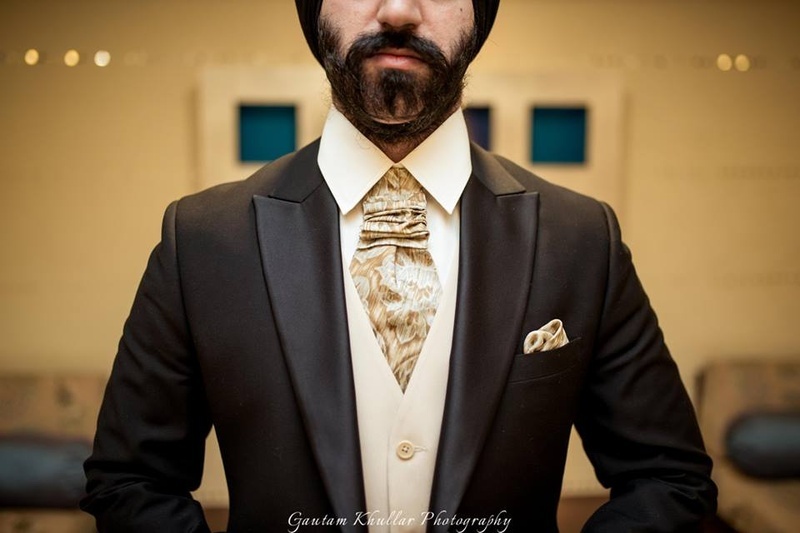 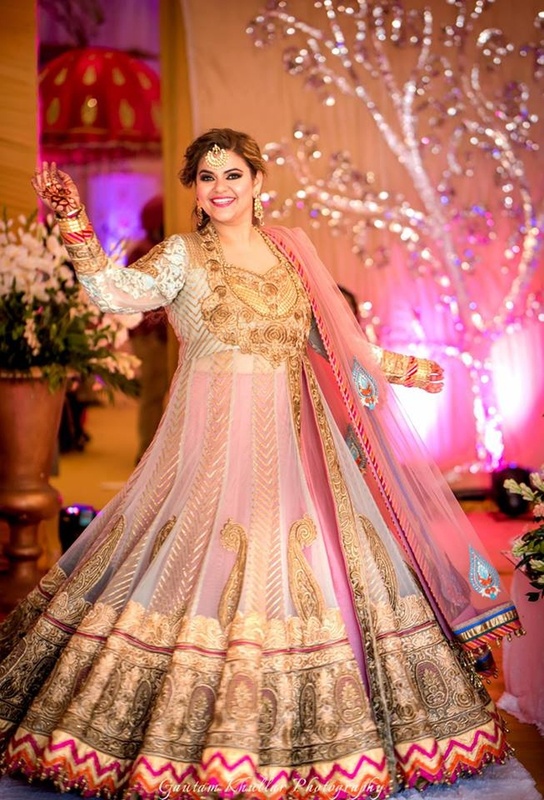 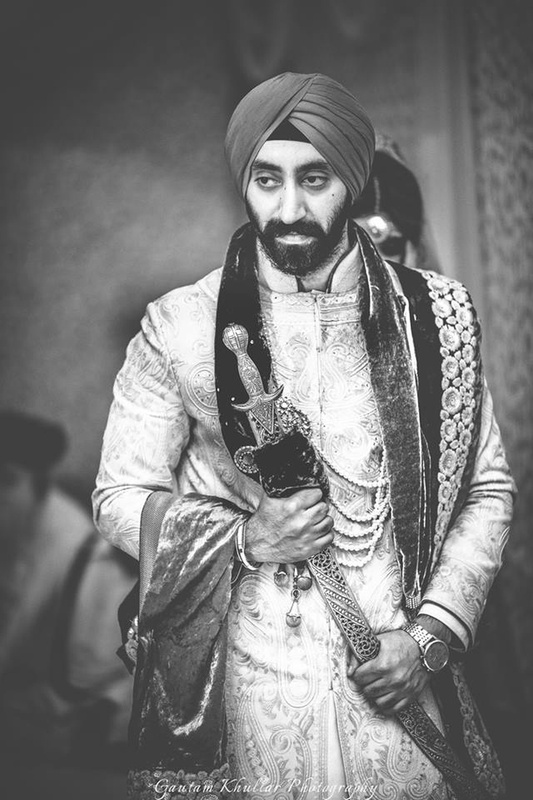 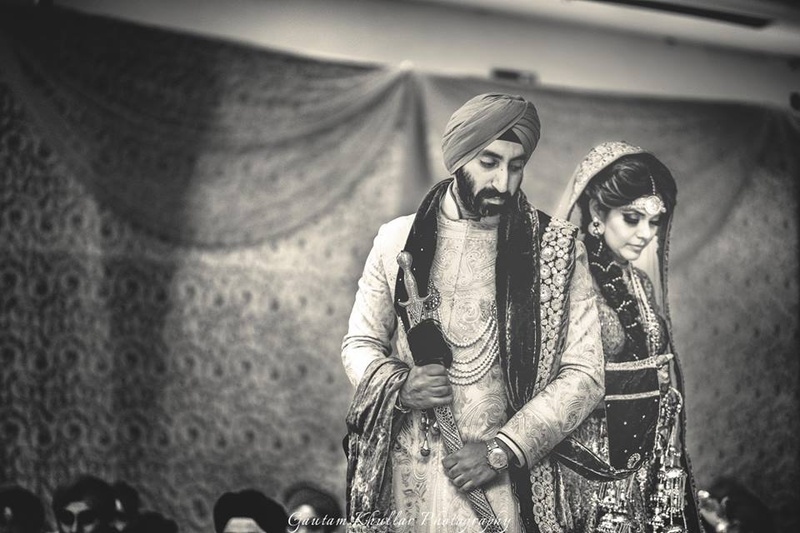 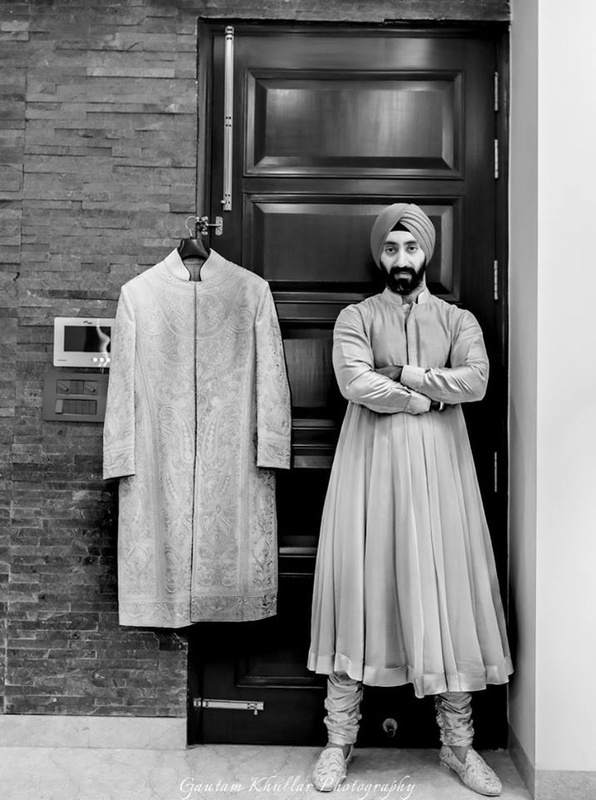 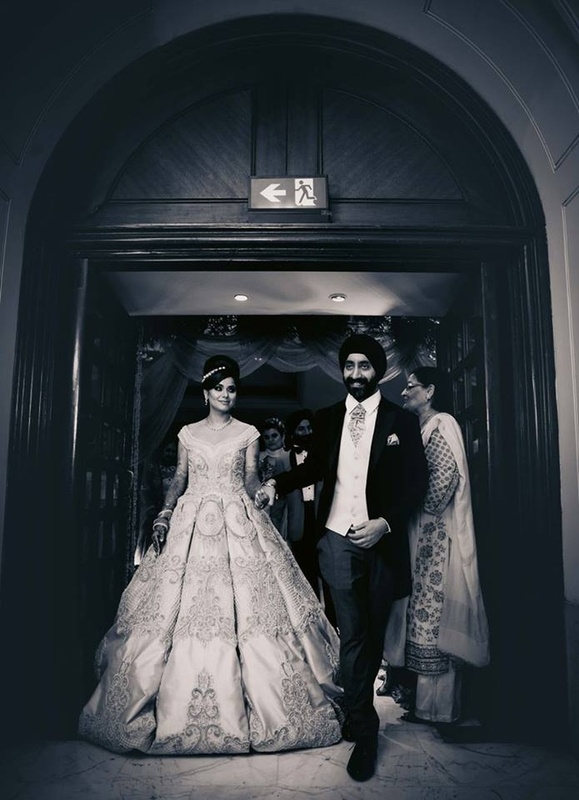 The royally beautiful outfits of both the bride and the groom are worth taking cues from. 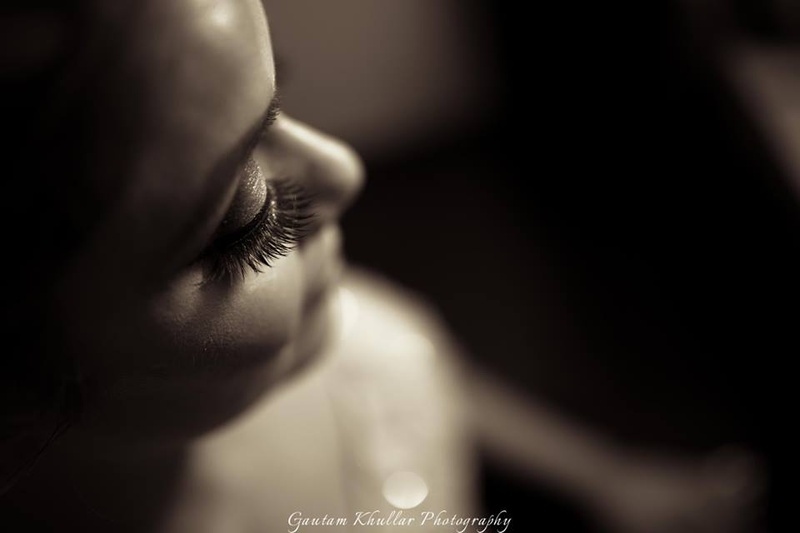 Getting ready for the engagement ceremony held at Le Meridien, Delhi. 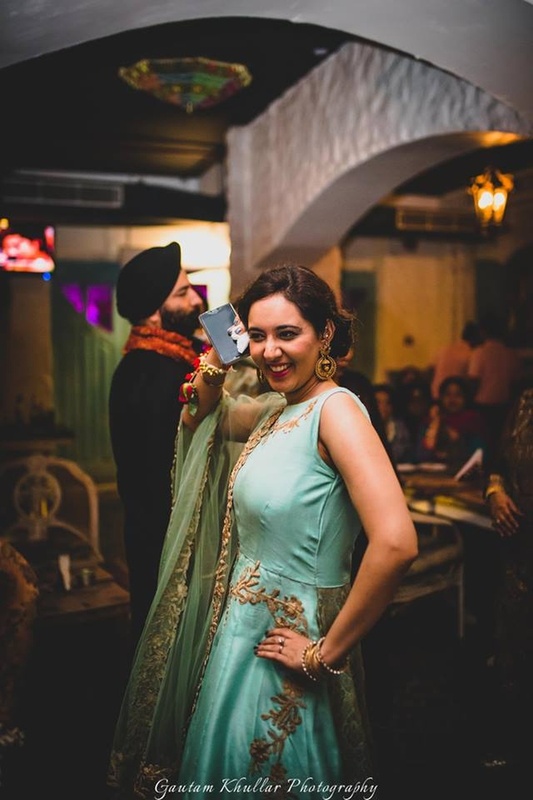 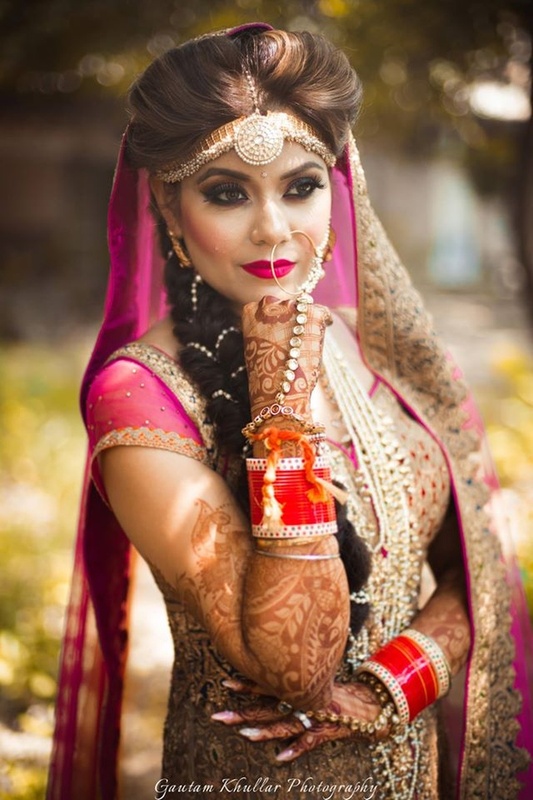 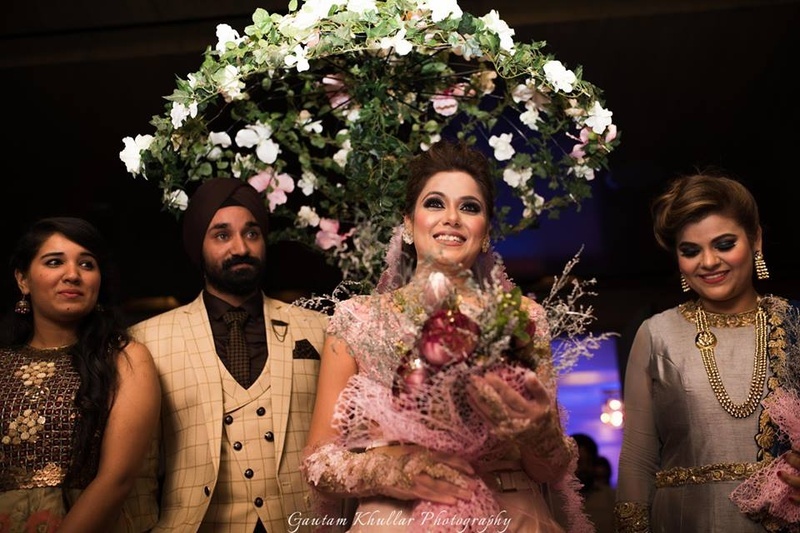 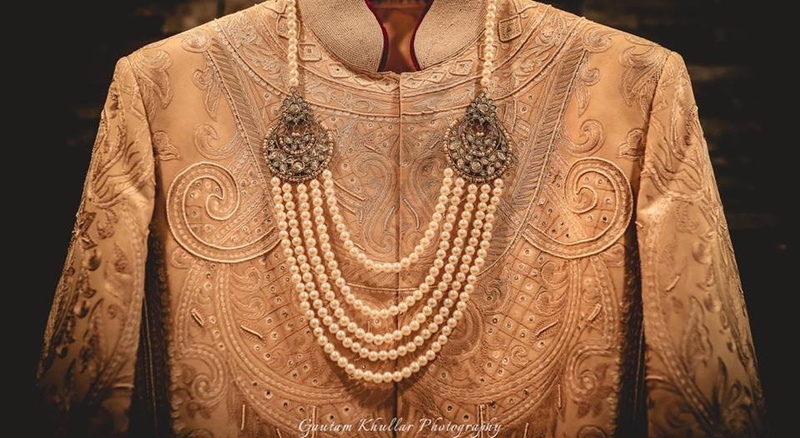 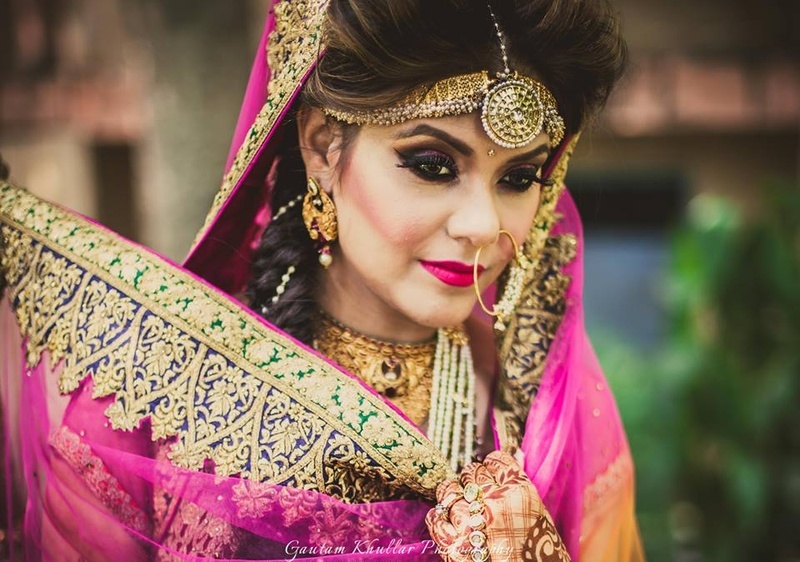 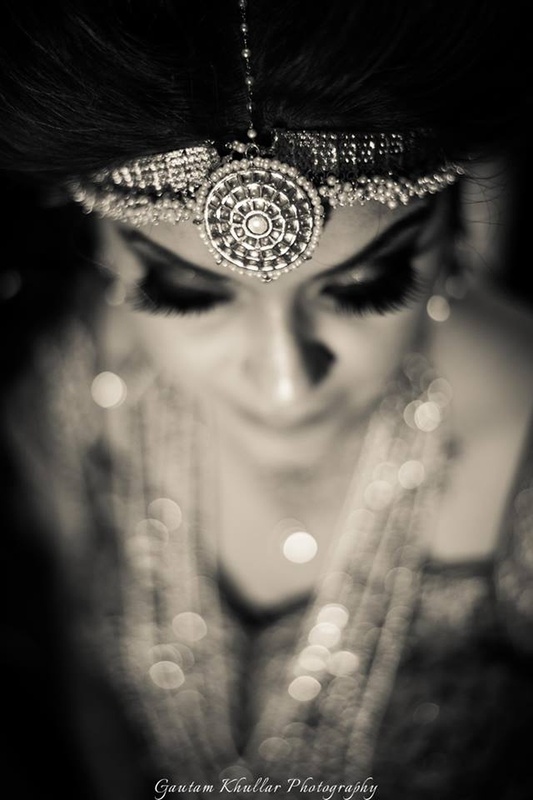 Bride's Engagement outfit by Sulakshana monga! 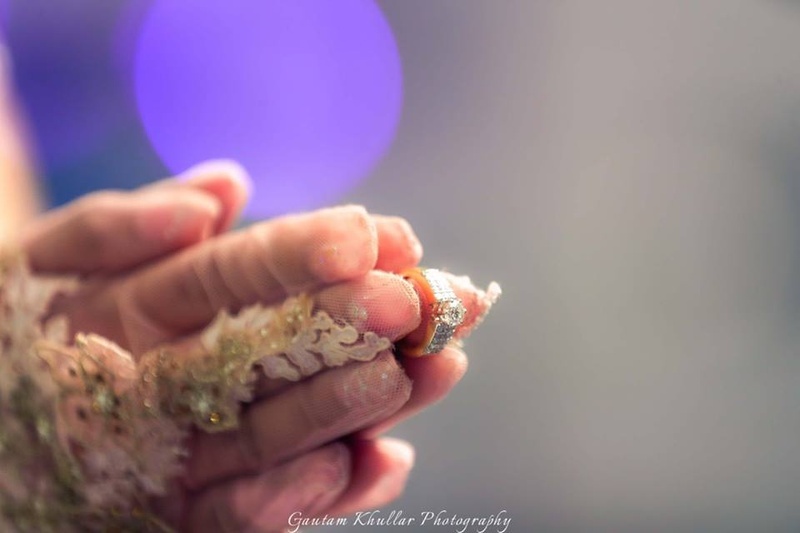 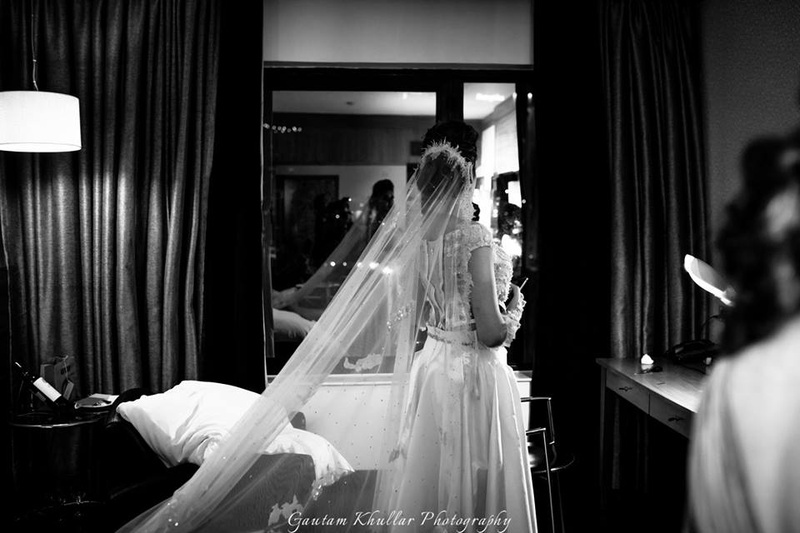 Engagement ring photography by Gautam Khullar. 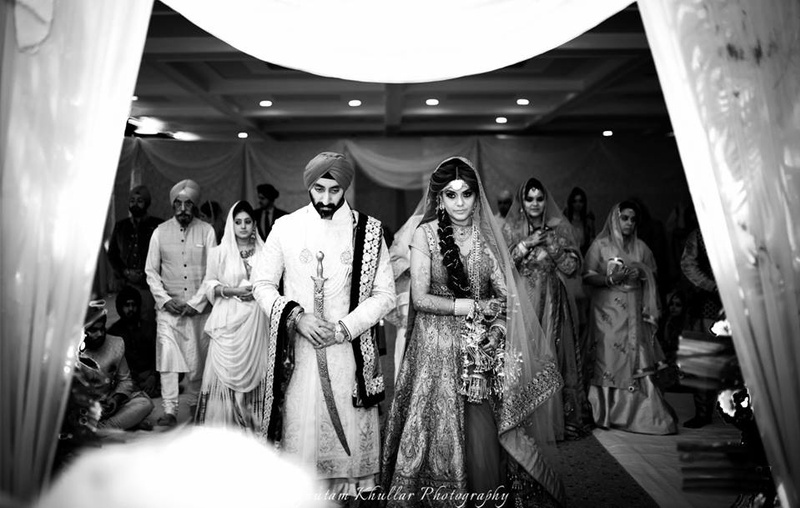 Entering the engagement ceremony . 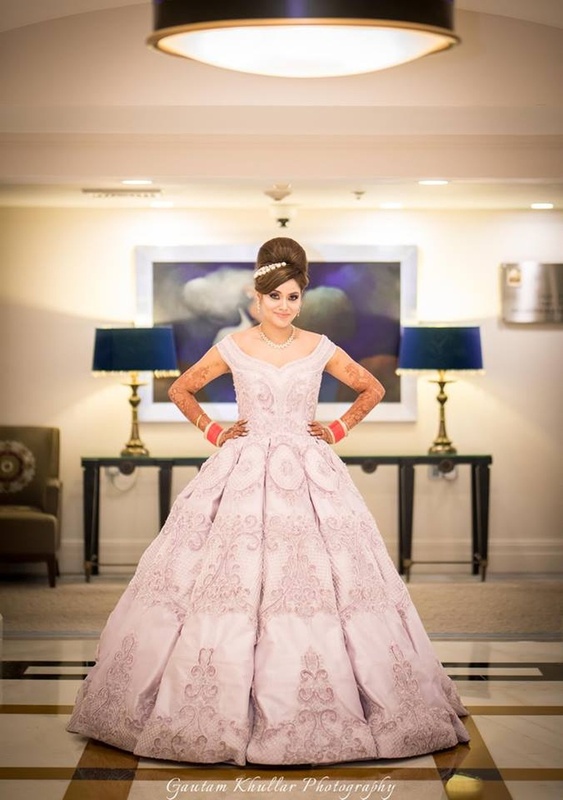 Wearing baby pink off shoulder gown with a pretty long trail. 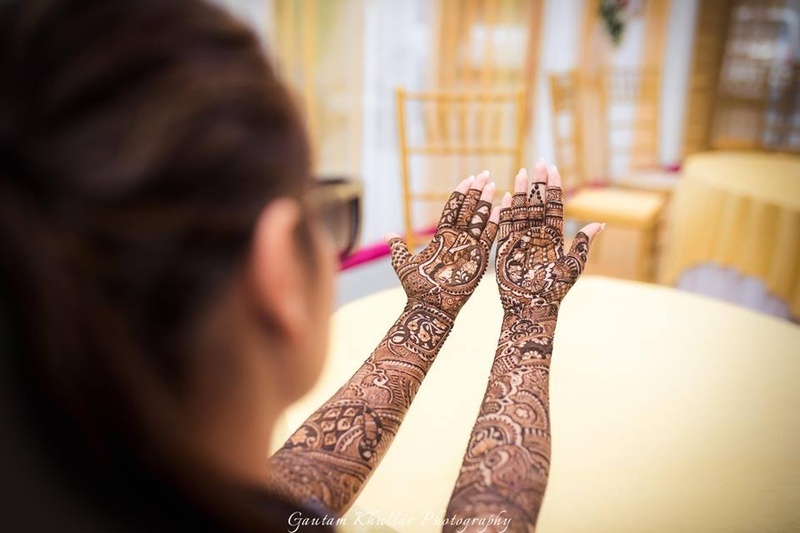 Bridal hands filled with intricate bridal mehendi designs! 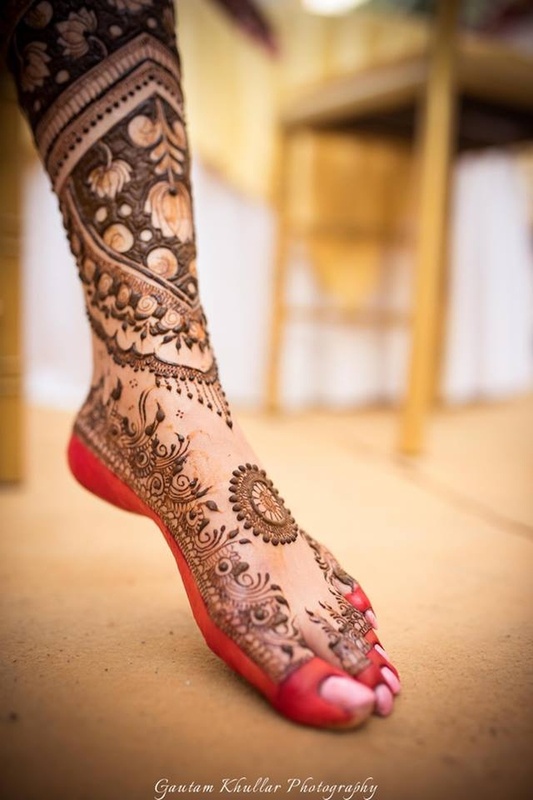 Foot filled with minimal bridal mehendi design. 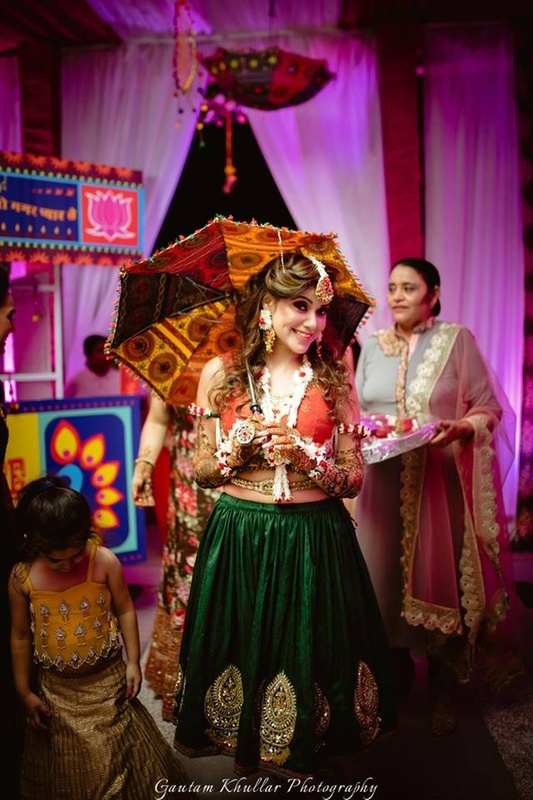 Wearing mix and match colorful lehenga for the mehendi ceremony styled wih bridal floral jewellery. 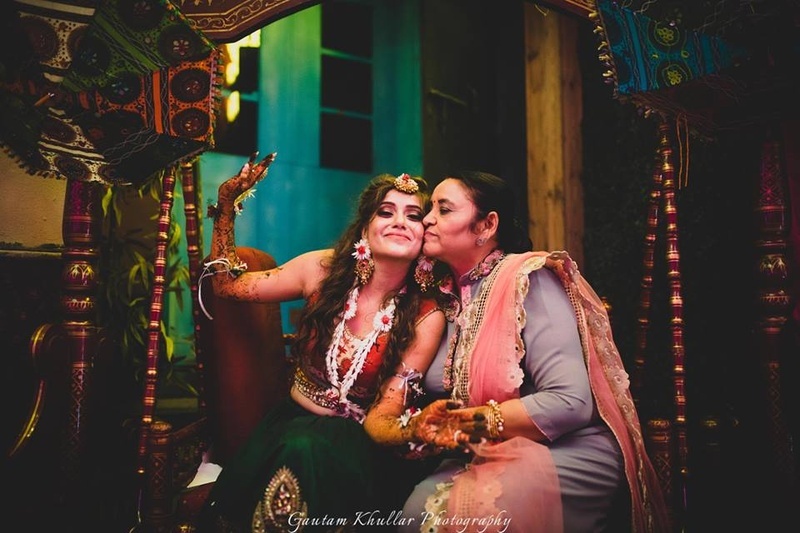 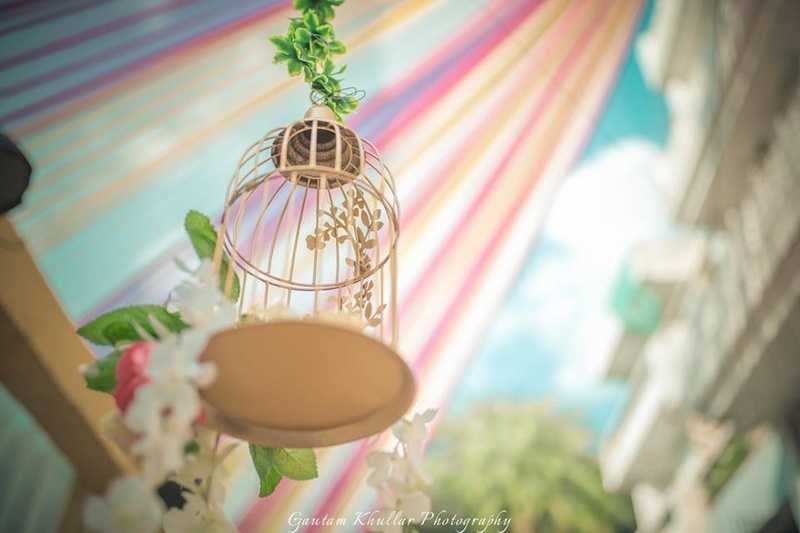 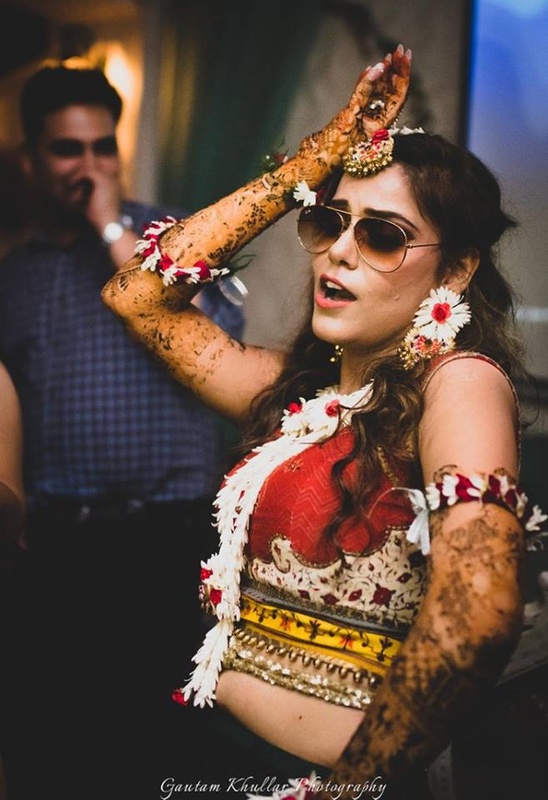 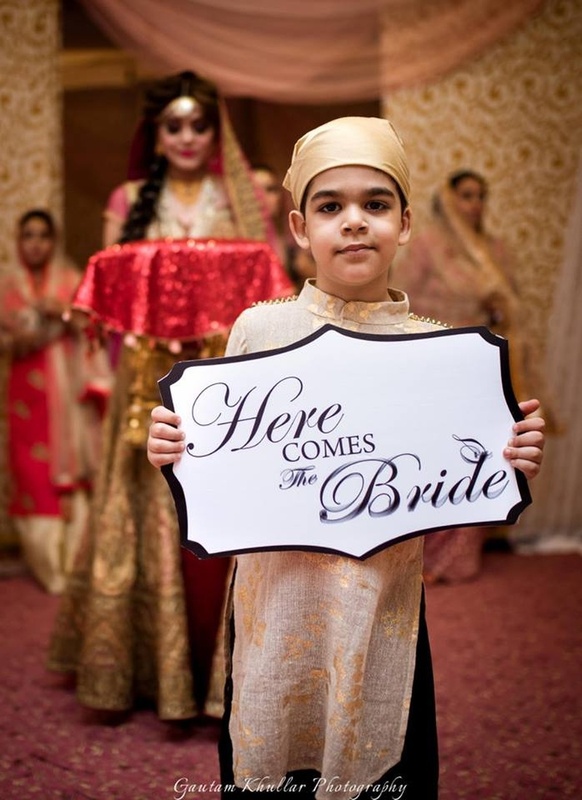 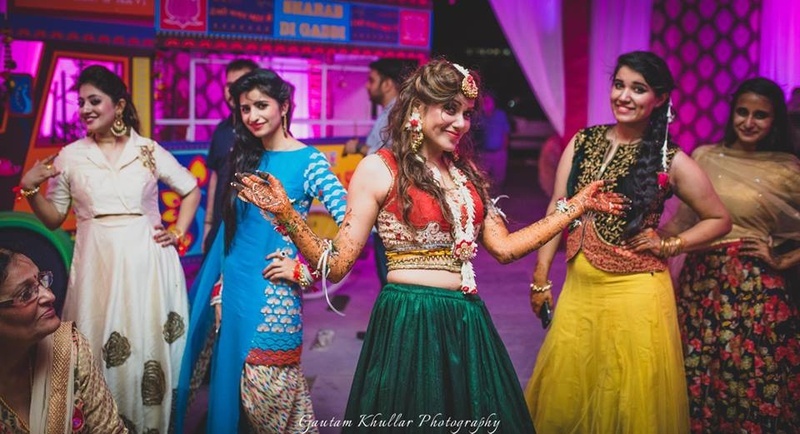 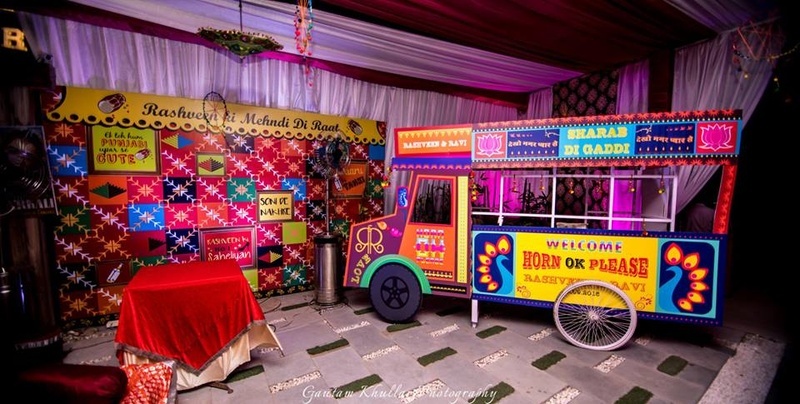 Fun and quirky Photobooth installations at the mehendi ceremony.